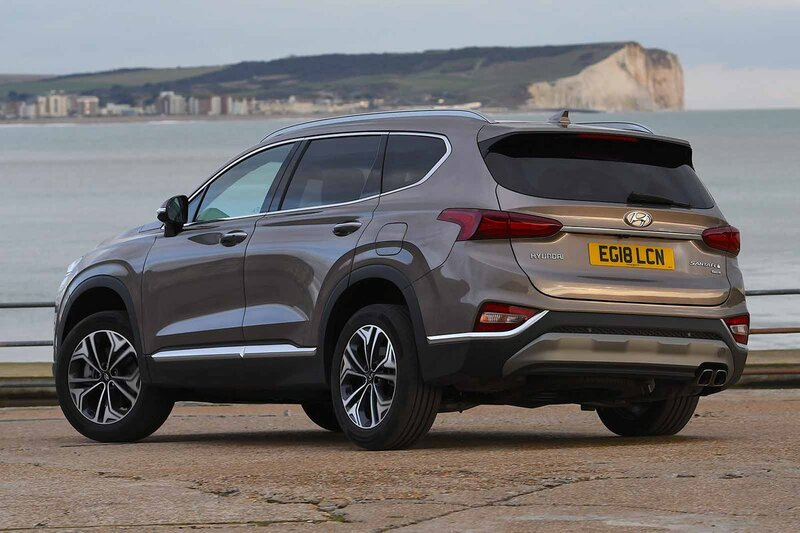 Hyundai Santa Fe Boot Space, Size, Seats | What Car? The Santa Fe is a large SUV, so it probably won’t come as a huge surprise that taller adults will fit absolutely fine in the front. Yes, a Peugeot 5008 offers slightly more leg room, but the margins are small and the Santa Fe’s broader interior helps it to feel really airy. There’s plenty of storage, too: the door bins are long, if fairly narrow, the glovebox is a decent size and there are a couple of big cupholders conveniently positioned between the front seats. Don’t expect Audi Q7 levels of space in the third row of seats, but there’s enough for tall(ish) adults as long as the trip is short. You’ll find slightly more third-row space in the 5008, but the Santa Fe is a much roomier option than the Land Rover Discovery Sport on those occasions you need to carry more than five people. Move forward to the second row seats and you’ll find roughly the same amount of leg room as in a Peugeot 5008 or Land Rover Discovery Sport. It’s best to avoid the panoramic roof (standard on Premium SE trim) if you plan to carry taller people in the back on a regular basis, but head room is adequate even with this feature. 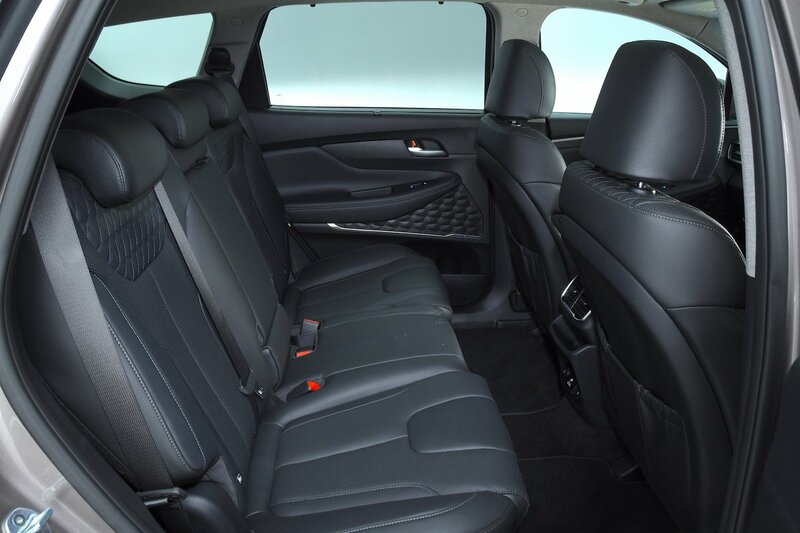 If you plan to regularly swap seating configurations, the Santa Fe will make your life really easy. Its third row seats can be raised simply by tugging on a cord and, when folded away again, lay flush with the boot floor so you almost wouldn’t know they were there. The second row, meanwhile, can be folded down electrically by pushing buttons in the boot, although you do need to haul the seats back up again manually. The second row seats also recline and slide back and forth, which is handy because it allows you to balance leg room in the second and third rows depending on how tall your passengers are. With all seven seats raised, the Santa Fe has more space left over for luggage than the 5008 and Land Rover Discovery Sport. Fold those rearmost seats away and it still impresses, with a similar overall luggage capacity (below the load cover) to a 5008; it managed to swallow an impressive 10 carry-on suitcases in our tests. Fold down the second row seats as well and you’re left with a van-like load bay that’s almost completely flat, with no annoying steps or ridges and barely any lip at the boot entrance.